Aluminium is one of the most studied neurotoxin, and its effects on nervous system are both structural and functional, involving various regions of brain. Aluminium toxicity is known to have multiple mechanisms of action in the central nervous system. 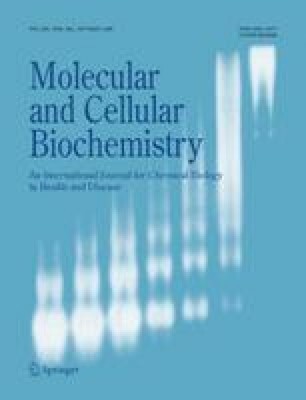 Affinity of aluminium for thiol substrates is considered a possible molecular mechanism involved in aluminium neurotoxicity. The reduced glutathione (GSH) is especially important for cellular defence against aluminium toxicity. This study pertains to the modulatory action of Centrophenoxine on GSH status in aluminium exposed different brain regions of the female rats. Aluminium was administered orally at a dose of 40 mg/Kg. b.wt. /day for a period of eight weeks whereas, Centrophenoxine was administered intraperitoneally at a dose of 100 mg/Kg b.wt./day for a period of six weeks. The study was carried out in different regions of brain namely Cerebrum, Cerebellum, Medulla Oblongata and Hypothalamus. Animals exposed to aluminum, registered a significant decrease in the levels of reduced glutathione, and oxidized glutathione as well as in the activity of glutathione reductase in all the different regions studied when compared to normal control animals. Post-treatment with Centrophenoxine, showed a significant improvement in the thiol levels in different regions. Centrophenoxine when administered alone also had a profound effect on the levels of reduced glutathione as well as on the activity of glutathione reductase. From the present results, it can be stated that Centrophenoxine administration, as a thiol-antioxidant, arrests the aluminium induced cellular damage by improving the thiol status in brain regions.